Sterling silver pendant: Begin rejuvenation with the Natural Paua With Spiral Twist Silver Pendant showcased in the pendants for women. Paua shells represent the beauty of life, which is 'change' that we experience every day. Soothing green gemstone adds more peace to your life with this a... Read more. 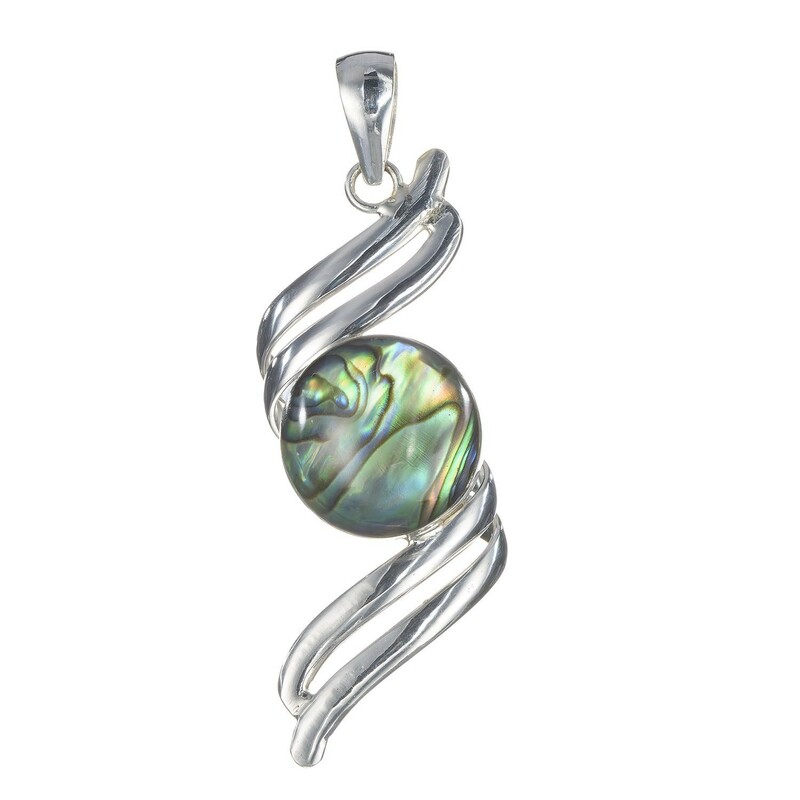 Sterling silver pendant: Begin rejuvenation with the Natural Paua With Spiral Twist Silver Pendant showcased in the pendants for women. Paua shells represent the beauty of life, which is 'change' that we experience every day. Soothing green gemstone adds more peace to your life with this artisan jewelry. Everlasting glamour of this silver jewelry will be sung by generations of your family.